English. When he is not on the ship, captain Renato spends his time with his wife and two children. favorite sport to watch is tennis. She also enjoys skiing. - is the first mate and helmsman. He was born in Split on the 8th of May in 1983.
most of the year working on improving the ship. - is the engineer and sailor. He was born in Split on the 17th of November in 1992.
plays sports as well. He also goes fishing and enjoys being on the sea. children. Very sociable and cheerful, Duje loves to communicate with people and make them laugh. Other Entertain: Kitchen galley features all necessary equipment - including ovens with stainless steel stove, refrigerator, freezer, ice machine, BBQ. 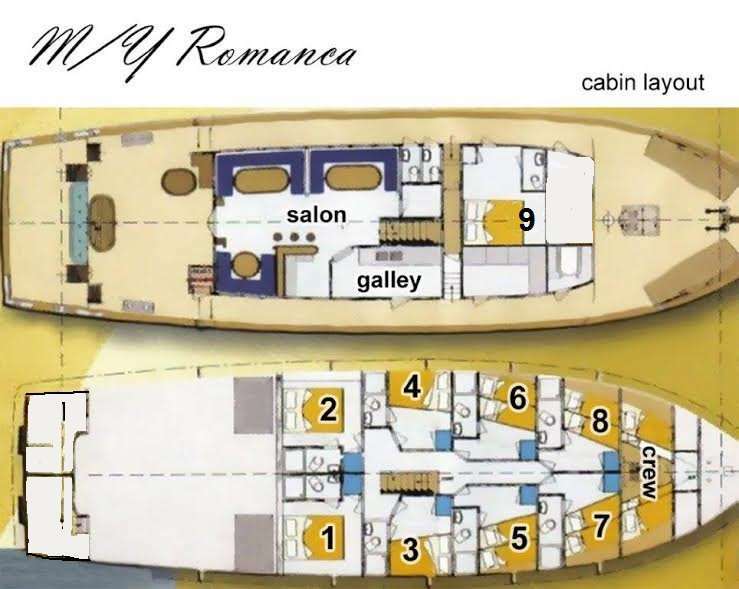 One of the most interesting features of this boat is the fact that the crew can do their duties almost completely separated from the clients, so you can have your privacy if that is your preference.